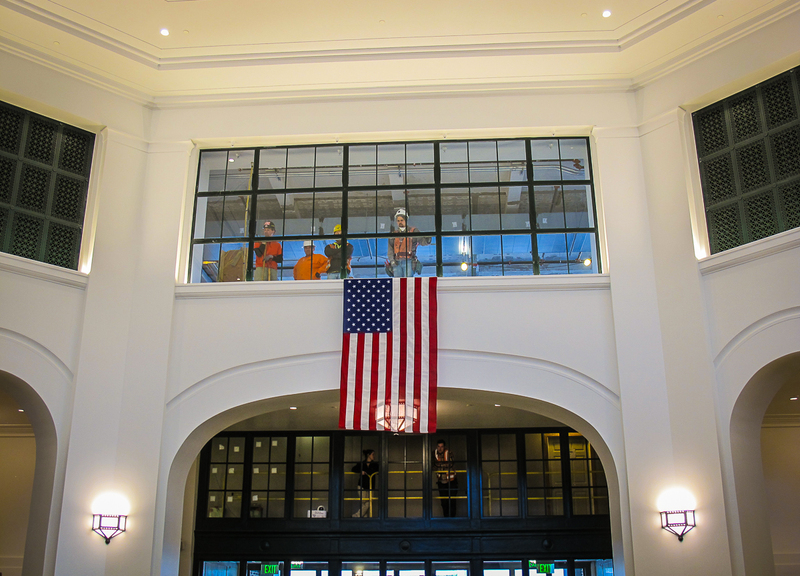 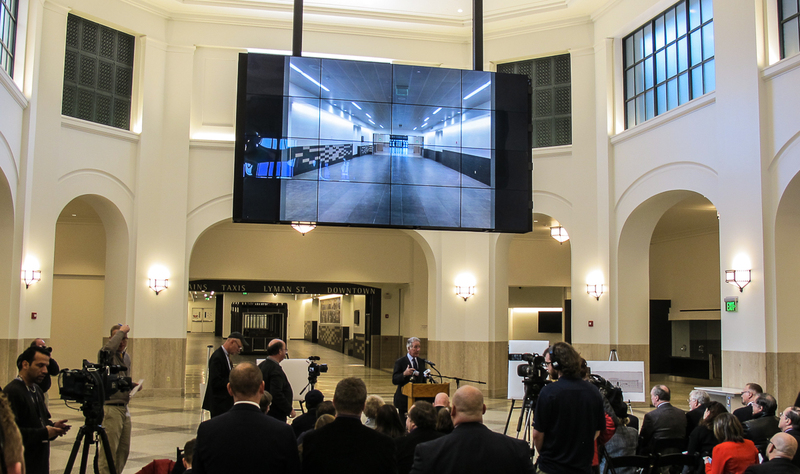 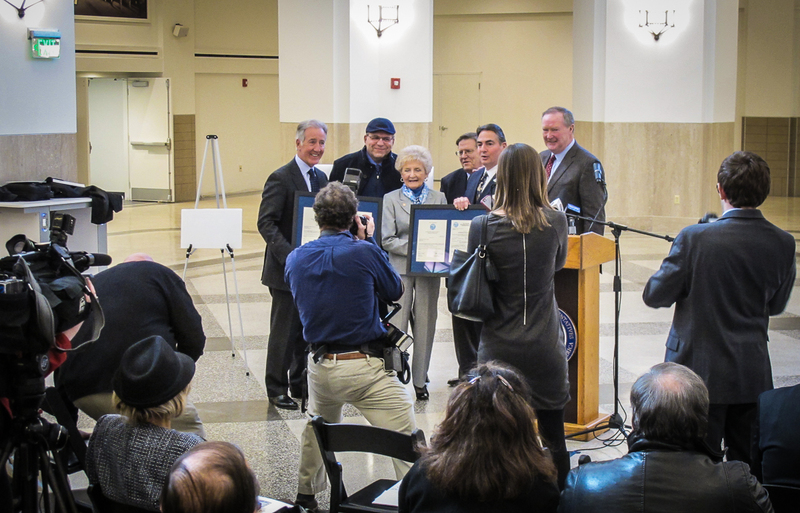 On Monday, March 6th, Congressman Richard E. Neal hosted a “Media Day” event at Union Station to celebrate the rebirth of Union Station in Springfield. 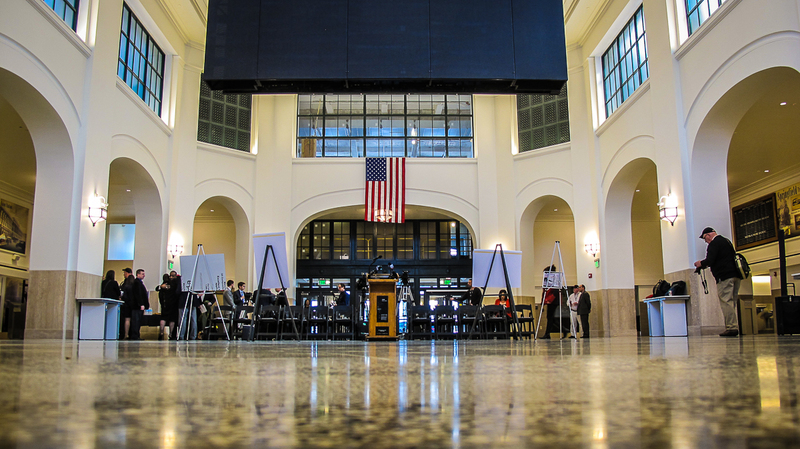 During the event, it was announced that Union Station will reopen to the public on Monday, June 26th, 2017. 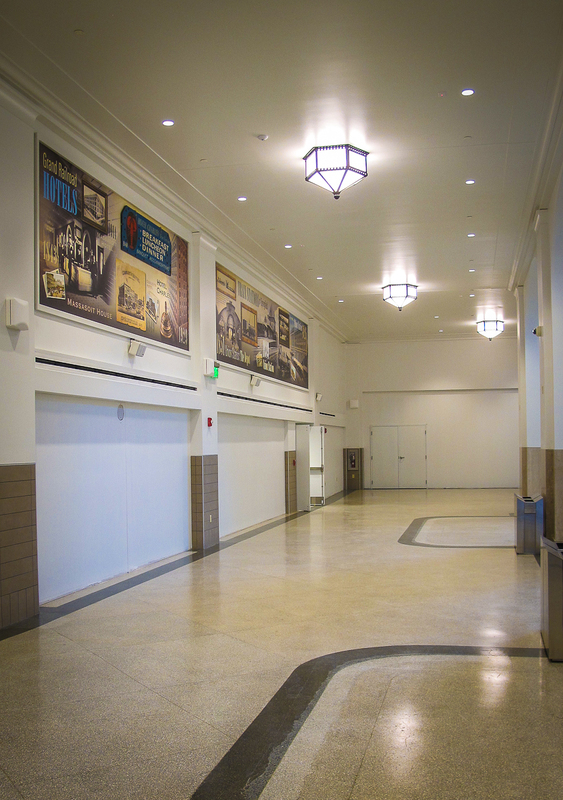 At that time Amtrak’s passenger waiting room and ticket offices will move into the newly renovated station. 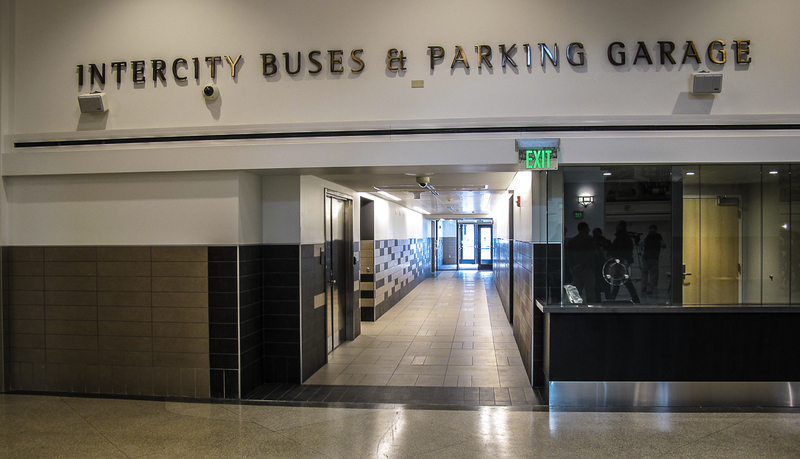 It is expected that Peter Pan Bus Lines, Greyhound, and the bus operations of the Pioneer Valley Transit Authority will then follow as quickly as practical. 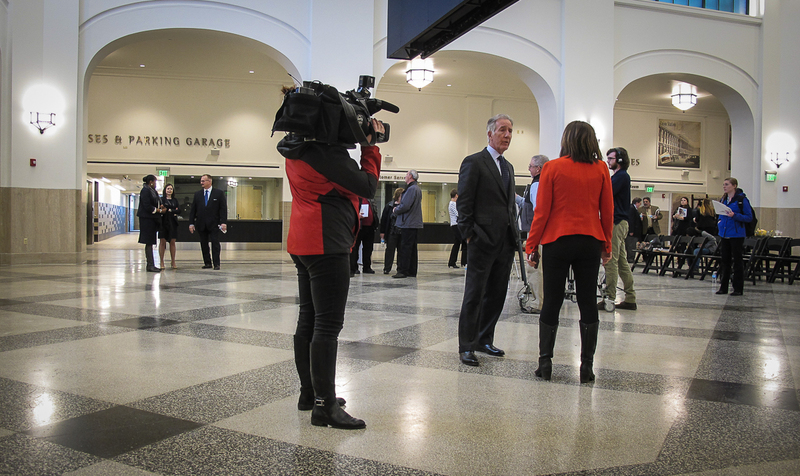 The images that follow highlight today’s media event and the station as it looks today — as final preparations for the re-opening are put in motion. 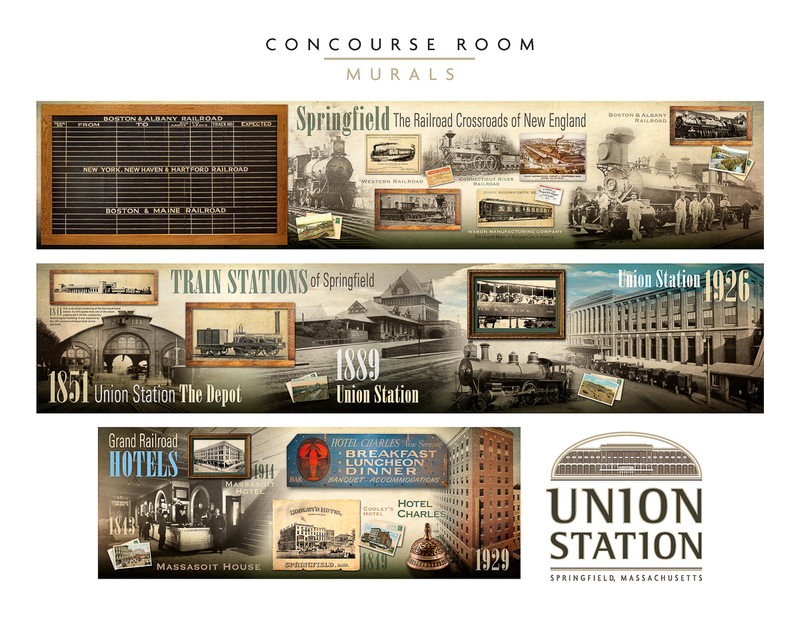 A highlight of the new station is the wonderful set of large graphic displays (murals) that were developed by Design & Advertising Associates LLC of Springfield and the Museum of Springfield History. 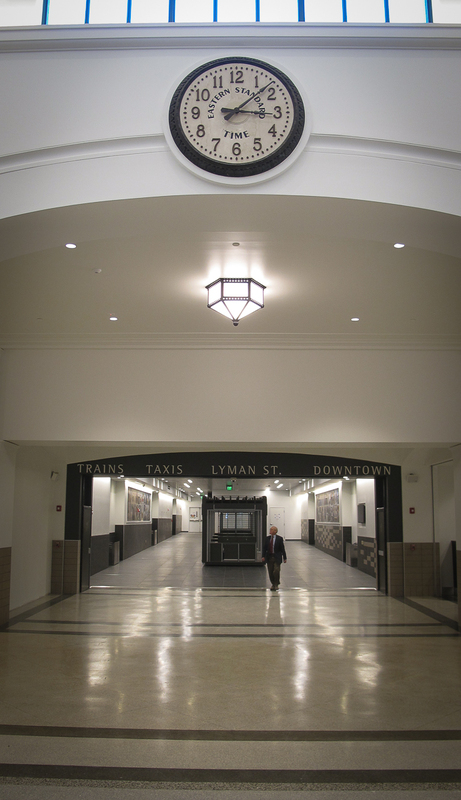 At track-level, you will unfortunately not find much that is new or improved at the moment. 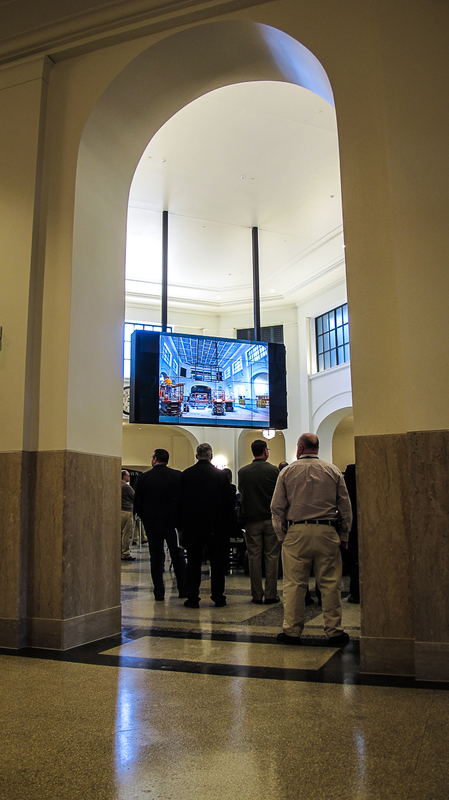 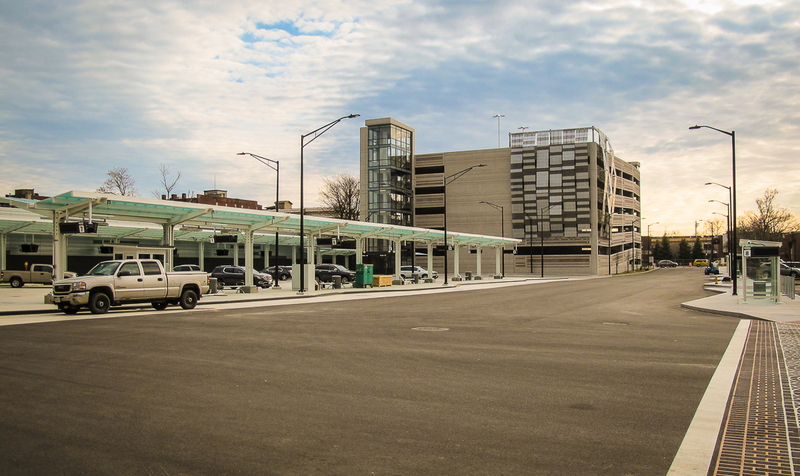 The current MassDOT Capital Improvement Plan includes funding for the construction of one high-level platform at the station. 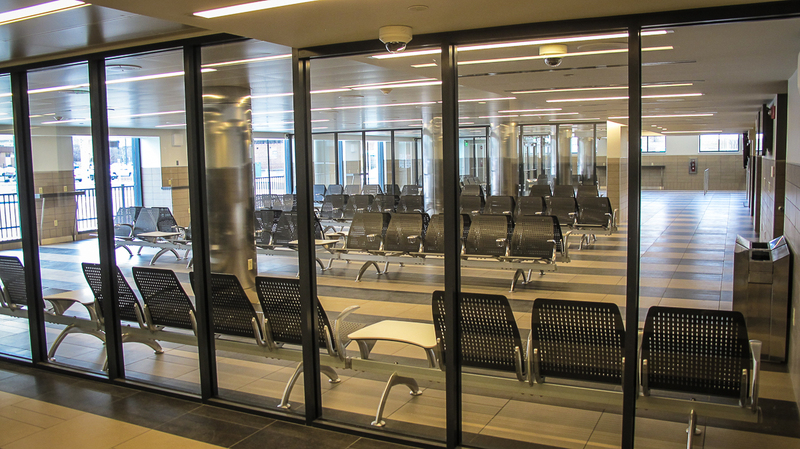 The new platform will replace the existing low level “Platform C”, which is shown in the image below. 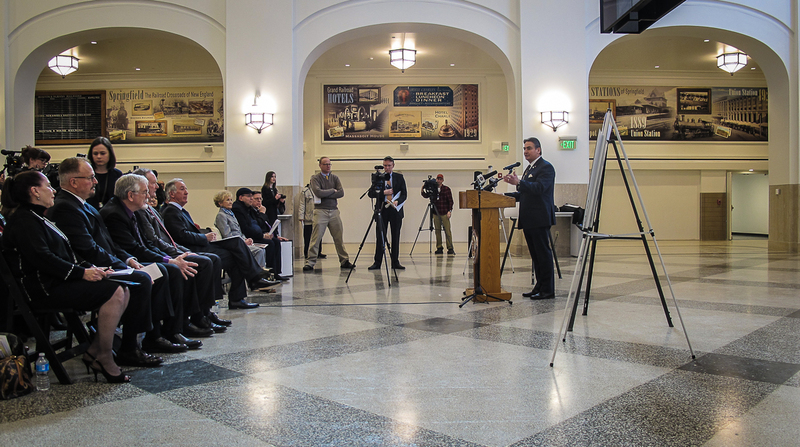 We are hopeful that the planned high-level platform will be completed before the new Hartford Line service starts in early 2018. 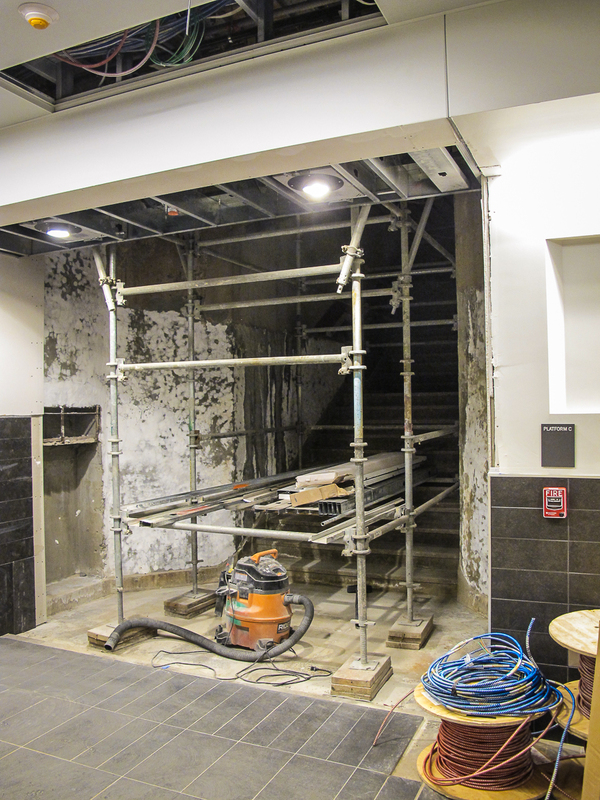 Behind a door in the passageway under the tracks is the framing of the new elevator shaft and a set of original stairs that once led to Platform C — clearly a work in progress. 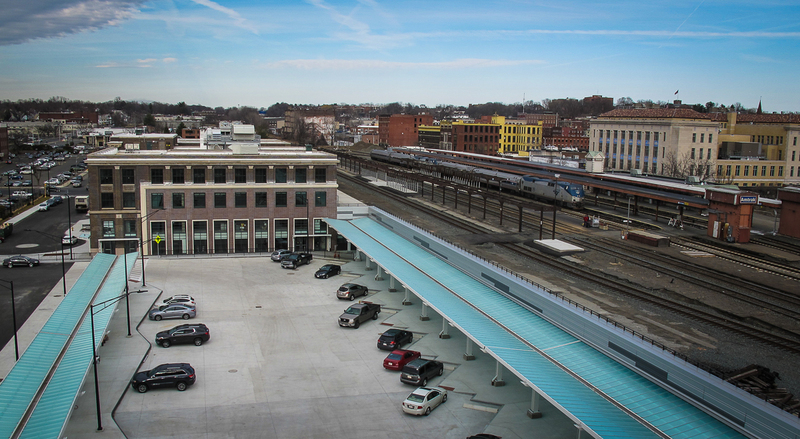 In the meantime — until the new high-level platform is built — train passengers will continue to access the boarding platforms using the existing stairway and elevator at the south end of the passageway. 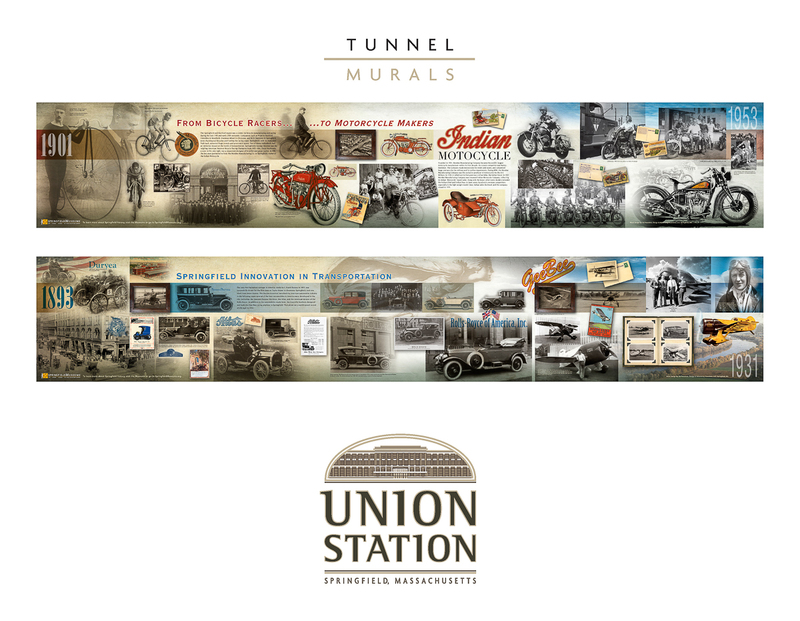 This page has been updated with new images. 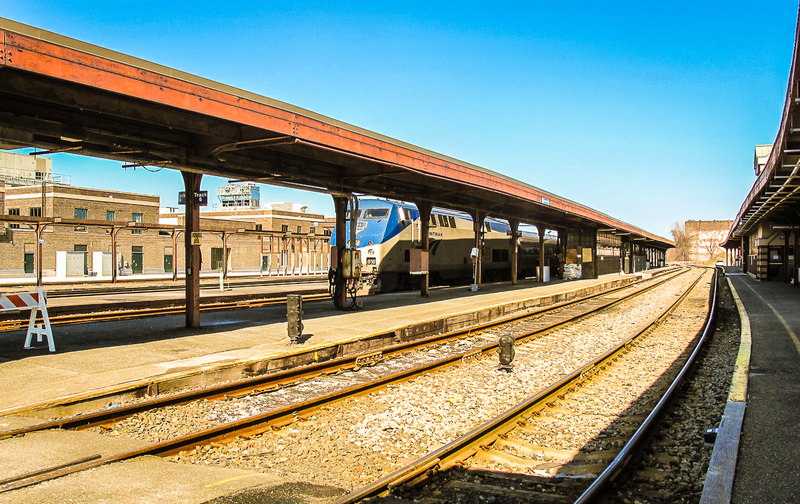 The On-time Performance & Departure Delay spreadsheet for the Vermonter has been updated with data through to the end of February 2017.